Pet owners may shell out as much — or more — money for their pets’ health care as they do for their own, a new report suggests. Pricey new technologies and more advanced treatment options drive up costs in many cases. For a clearer picture of the types of animal illnesses, accidents, and resulting costs that pet owners face, Healthy Paws Pet Insurance, a company that sells medical coverage for dogs and cats, crunched data from 215,000 claims submitted by their customers during a one-year period. According to their Cost of Pet Care 2016 report, the most common accidents and illnesses for dogs include stomach issues — often from ingesting dangerous human foods, such as chocolate and other sweets; skin conditions; ear and eye infections; growths; and chronic allergies and pain. Stomach and skin issues plague cats, too, as well as urinary tract infections, cancer, kidney disease, eye and ear conditions, and heart and respiratory problems. The report found stomach ailments in pets can cost more than $6,000 to diagnose and treat. Growths and lumps can tally upwards of $15,000. Heart surgeries can run as high as $20,000 and monthly medication bills can add up to more than $100. 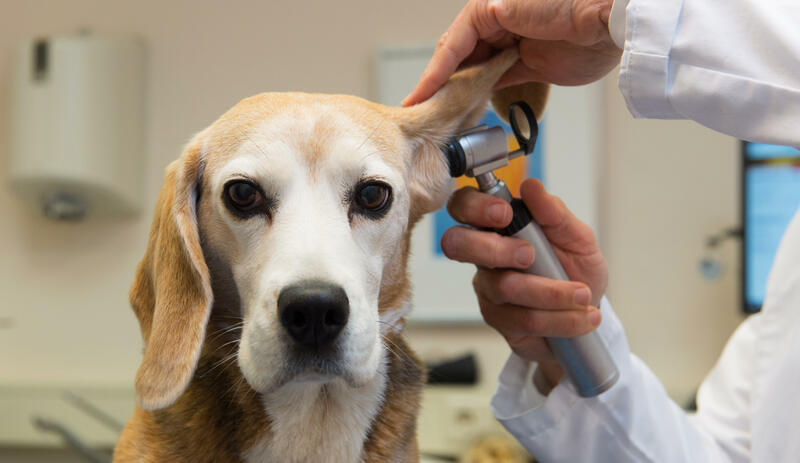 Even less life-threatening conditions can be expensive: ear infections can cost up to $250 a visit. Veterinarians rely on many of the same diagnostic tools and treatments that doctors use for human patients, including MRI and CT scans, hip and knee surgery, laser surgery, cancer vaccines, flu shots, ultrasound, and alternative medicine techniques such as acupuncture. “While advances in veterinary care are leading to more effective treatments for dogs and cats, the costs associated can become a big burden to pet parents,” Rob Jackson, co-founder of Healthy Paws Pet Insurance, said in a statement about the report’s findings. Some treatments can cost even more for pets than people. For example, the average bill for a chiropractic or acupuncture session for a person ranges from $65 to $75, but the average cost for pets is about $80, the analysis found. “Overall, the report appears consistent with what we see in practice,” veterinarian Dr. Grace Anne Mengel told CBS News. Mengel, head of primary care service at Penn School of Veterinary Medicine, Ryan Veterinary Hospital, noted that the report included rehabilitation and physical therapy costs, too, which can be a big part of medical care for some pets — dogs that have broken a leg, or need hip replacement, for instance. Mengel said one of the most common — and costly — conditions she sees is when a dog has eaten a human food that’s unsafe, such as chocolate. “A common emergent event is when a dog gets into chocolate. Someone comes home an hour later and sees that the Baker’s chocolate they left on the counter was eaten by the dog and they call the emergency clinic and they come in and we induce vomiting. It’s about $150 just walking in for the exam. Then there’s the medication to make the dog vomit, and activated charcoal to absorb the toxin, and the cost is up to $500,” Mengel said. Raisins can lead to an even steeper medical bill. “They can cause kidney failure and a dog may need to stay in the hospital for a few days,” Mengel explained. Another common injury: dogs with a broken limb or internal bleeding, or both, from running into the street and getting hit by a car. Mengel said, even the best owners can lose hold of a leash, or their child may drop it. “The dog runs after a squirrel and gets hit by a car and breaks a leg. A broken leg can heal but it’s very expensive to take X-rays, for pain management, for surgery. Internal injuries like a lacerated spleen or liver can require going in to stop the bleeding and that’s getting into several thousand dollars,” she said. Maintenance medicines for cancer, pain, even insulin for pets with diabetes can really add up over time. Mengel has seen cases where a pet owner can’t afford the medical bill. On occasion, she said a staff member has taken on the costs or adopted the pet, or both. Sometimes they can refer the pet to another clinic where treatment costs might be slightly lower. Other times, the owner opts out of surgery. According to the new report, the most expensive insurance claim Healthy Paws has seen for a dog involved a 3-year-old female French Bulldog diagnosed with intervertebral disc disease — which can cause pain, nerve damage, and even paralysis — as well as pneumonia. The pup needed a CT scan, an MRI and spinal surgery with a final bill of $44,296. The highest claim for a cat topped $14,000. The 10-year-old male cat was diagnosed with liver cancer, which required a biopsy and surgery.